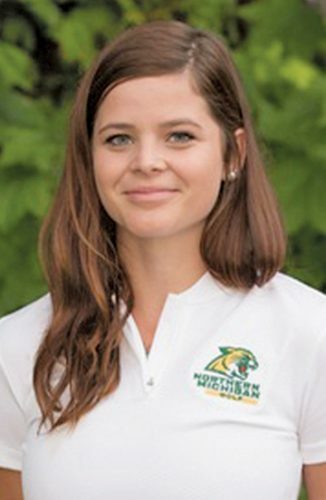 LEBANON, Illinois — After falling behind in the third quarter, the Northern Michigan University football team played catchup throughout the fourth quarter in its season opener at McKendree University on Saturday afternoon. The Wildcats did rally, cutting two-score deficits back to less than a touchdown three times, but in the end the Bearcats prevailed 34-28. 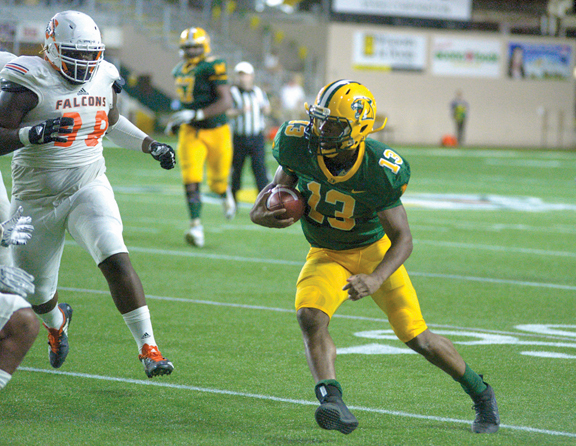 NMU went to the ground to pound out 283 yards rushing on 52 attempts, a 5.1-yard average. The Wildcats had 18 first downs on the ground, too. Senior Jake Mayon, an All-GLIAC pick in 2017, rolled up 173 of those yards in 27 carries, a 6.4-yard average. But Wildcats’ listed starting sophomore quarterback Ryan Johnson didn’t throw a pass, though he did show up as rushing the ball once for two yards on NMU’s second play from scrimmage. No word was available about if or what type of injury Johnson might’ve suffered. Instead, three other players put the ball in the air with some success. The trio — sophomore Latrell Giles, redshirt freshman Kole Stealy and true freshman Isiah Wright — combined to complete 13 of 27 passes for 232 yards, two TDs and one interception. Redshirt freshman Benjamin Loutsis caught more than half those yards, netting 117 yards and a TD in five receptions. Giles was also the team’s second-leading rusher, earning 97 yards in 14 tries. The Wildcats scored on their second possession when Mayon ran in for a touchdown from 4 yards out, his fifth consecutive and eighth overall run of a 90-yard scoring drive. Daniel Riser’s first of four extra points made it 7-0. McKendree answered on the ensuing possession when QB Reece Metcalf threw the first of his three TD passes, this one 52 yards to Matt Cole less than a minute into the second quarter. 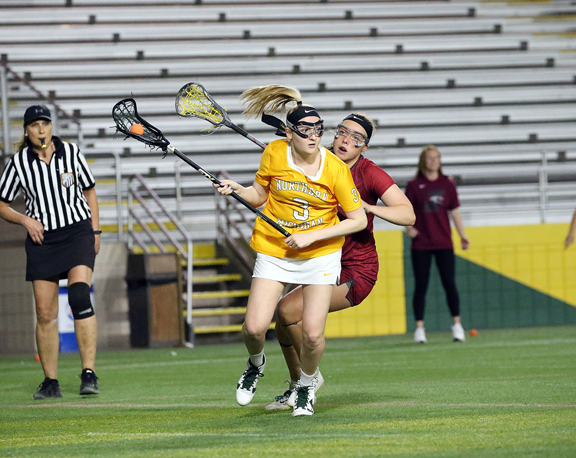 The score remained 7-7 until more than halfway through the third, even though NMU drove to the Bearcat 1 late in the first half, being stopped on fourth-and-goal when Mayon lost a yard. The Wildcats were also unable to take advantage of a fumble forced by NMU’s Jacob Dudeck and recovered by teammate Troy Mayon near midfield early in the second half. Northern drove the ball inside the McKendree 10 before Riser missed a 26-yard field goal. That opened the door for the Bearcats, who scored on every remaining possession they had — five in all. Two came in the third quarter on a Josh Lazaro 36-yard field goal and Metcalf 8-yard TD pass to Jalyn Williams, making it 17-7 entering the fourth. Northern scored on three of its four final-quarter possessions to stay within striking distance. Giles hooked up with Loutsis on a 66-yard scoring strike on the first play of the fourth — and second play of the possession — making it 17-14. McKendree answered with a 31-yard aerial hookup between Metcalf and Preston Thompson with 13:05 left to re-establish a 24-14 edge. The Wildcats answered again on a Giles 3-yard TD rush, the culmination of a 12-play drive that pulled Northern back within 24-21. Things were getting tighter, though, for NMU as the time-chewing drive left just 6:33 on the clock. And it didn’t help that McKendree wound down about half of what remained on the clock with another TD drive, this on a Thompson 10-yard run, getting the home team’s advantage back to two scores at 31-21. NMU’s offense worked to save time, but three straight incompletions between Giles and Stealy and an interception on a fourth-and-10 pass by Stealy all but sealed the result. 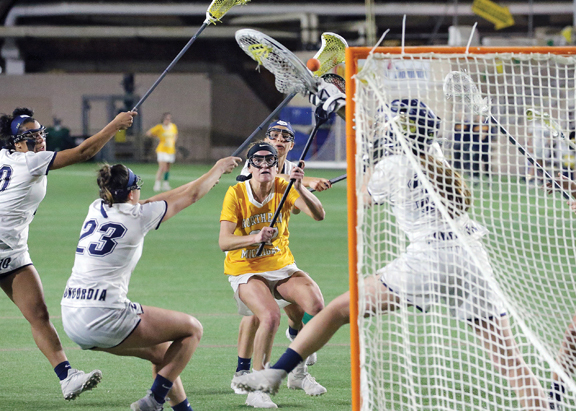 The Bearcats kicked a field goal with 57 seconds left, declining a roughing-the-kicker penalty that might’ve extended the drive to make it 34-21. Northern managed an eight-play drive in that final minute and scored with no time remaining on a Stealy 17-yard pass to Ryan Knight. The Wildcats return home for the next three Saturdays, starting with a nonconference game against Texas-Permian Basin at 1 p.m. in the Superior Dome.